A Berlin primary school and its grounds have been evacuated due to a potentially “dangerous situation,” the capital’s police wrote on Twitter. 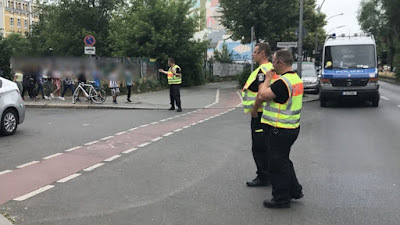 The incident happened in the Gesundbrunnen area of the German capital on Tuesday morning. “[Police] have been deployed because of the suspicion of a dangerous situation in a primary school,” police reported. German tabloid newspaper B.Z. reported that, before the police operation in the area, witnesses had noticed 'suspicious people' entering the school building. Police received a call from a person who claimed to have spotted two suspicious persons entering the school, police spokesman Thomas Neuendorf said, adding that the call triggered the operation. However, the officers have not yet found anybody suspicious, the spokesman added.